When you think of road trips, the image of a VW camper van packed to the rafters with baggage probably comes to mind. Or, the image of a modern RV may pop into your head. Either way, the chances are that what doesn’t come to mind is a motorcycle. Sure, motorcycles are great for getting around quickly on and using to dodge traffic, but they’re not road trip material – or are they? Anyone who has a motorcycle dreams of heading off on a road trip on their bike, taking the freedom that a bike offers and grabbing it with both hands. There might be less room for luggage and nowhere to sleep, but motorcycles can still make great vehicles for road trips, that is if you are travelling alone or with just one other person. Of course, there is a downside to using a motorcycle for road tripping, and that’s safety – motorcycles aren’t the safest mode of transport, are they? However, don’t let that put you off – road tripping on a motorcycle can be an enjoyable (and safe) experience, it’s just a case of knowing what you’re doing, that’s all. Have you ever been on a long journey on your bike before? If the answer is no, then it’s vital that you plan some practice road trips. You need to get accustomed to sitting on your bike for hours at a time. Otherwise, you won’t enjoy your time on the road. Obviously, a comfortable seat can help with that, but it’s also about getting used to riding for so long. So plan a couple of day trips beforehand, so that you can get used to what riding for longer than usual feels like. If you are a city rider, then the chances are that your bike doesn’t have a windshield – why would it? When it comes to going on longer journeys though, a bike with a windshield is a must. The fact is that riding without a windshield gets exhausting on the open road, plus it means you will end up covered in dirt, debris, and bugs. 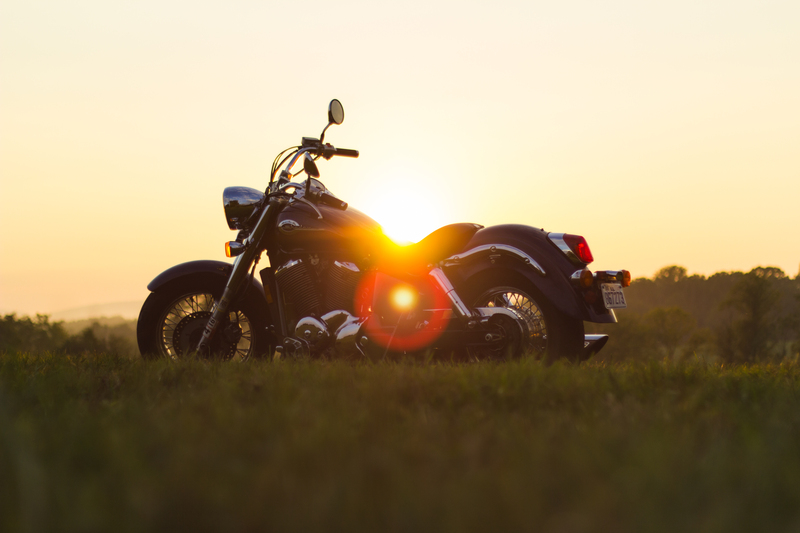 So it’s worth considering investing in a bike with a windshield – perhaps you could see what American Motorcycle Trading Company can offer. The types of bikes that tend to come with windshields are Harley-Davidsons and some styles of Choppers. You might have a bike licence, but that doesn’t mean that you know how to ride properly. If you are going to be sitting on a motorcycle for hours at a time, if you don’t sit in the right position you will hurt yourself. Bad posture and long distance riding is a recipe for disaster. Practice sitting up straight when riding, so that when you head off on your road trip, you aren’t putting your back at risk. To make getting from A to B easier and more enjoyable, consider implementing technology into your ride. The fact is that the right pieces of tech can vastly improve your ride and experience. A helmet that has Bluetooth installed will allow you to link your phone to it for mapping and can even be used to play music. To make using your phone easier, touch screen friendly gloves are also a good idea. There you have it, all the most crucial tips to make your motorcycle road trip more exciting and more enjoyable.